Maxine spun right of John Wagner’s imagination in the mid-1980s while working on Hallmark’s newly launched Shoebox card line. He got the idea for a comedic character that resembled his mother, aunts, and grandmother all in one. 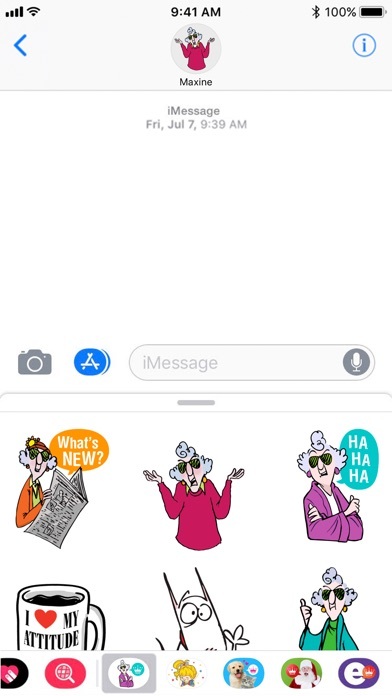 Now, in 2018, the Hallmark eCards team is animating her feisty, insightful, and hilarious demeanor in the form of fun animated stickers. 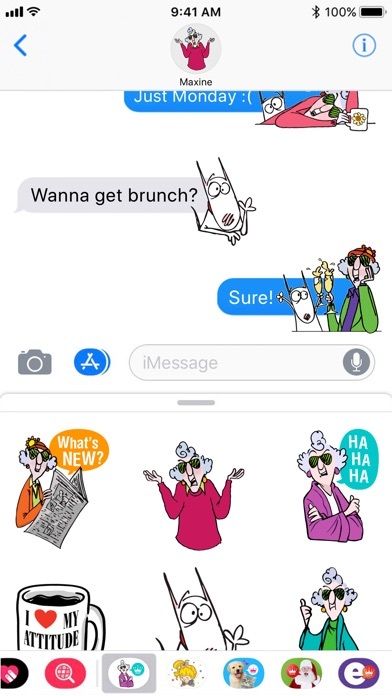 They’re easy to use: just tap the arrow to the left of the text field, tap the app icon, click on the four dots in the bottom left corner, find your Maxine sticker pack, and add them to any of your iMessages. 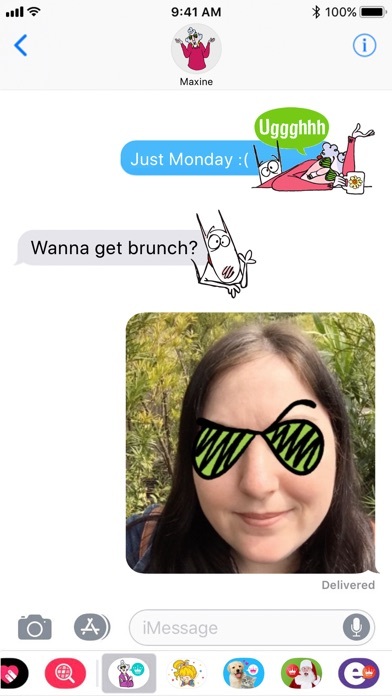 Download them today, only available for iOS. 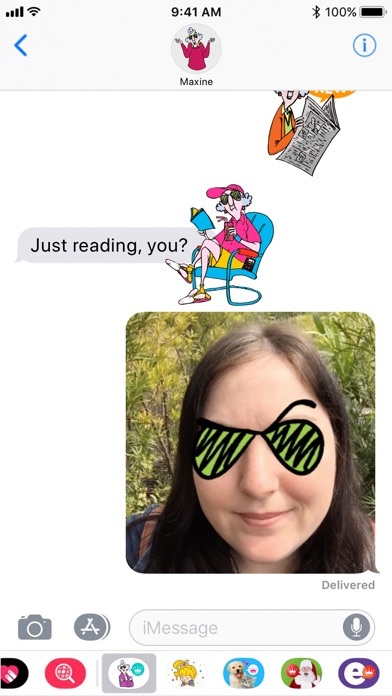 For more ways to send a smile, search for Hallmark eCards in the app store for more exclusive, animated stickers.